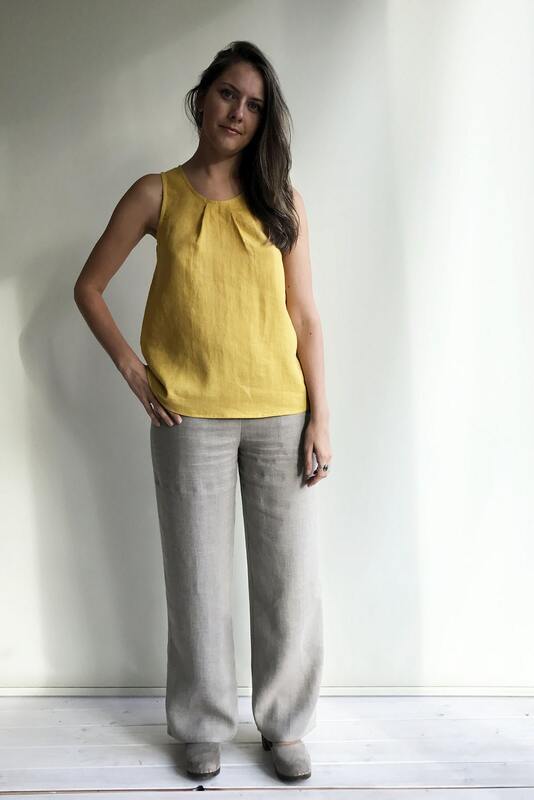 Light, comfortable and classic linen top to wear when its warm or under a blazer. Simple, loose cut with two decorative tucks. 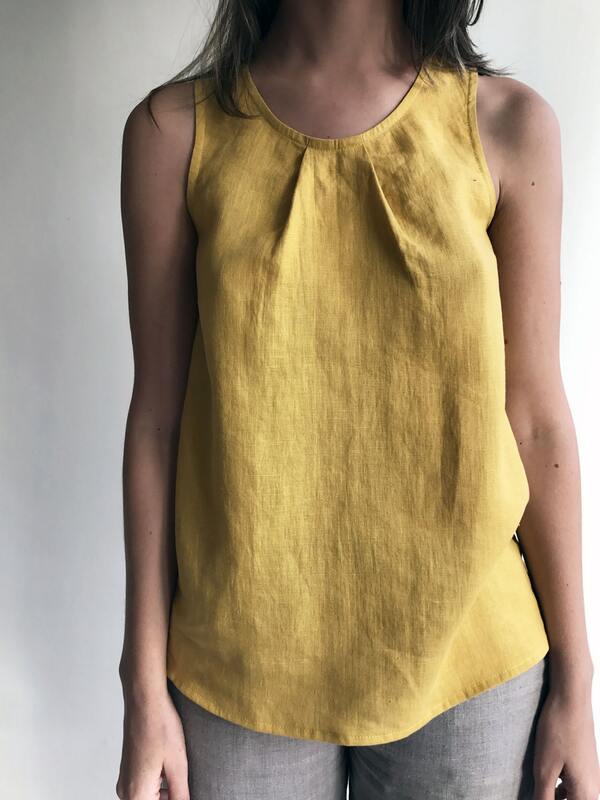 Made from wonderfully textured European linen. 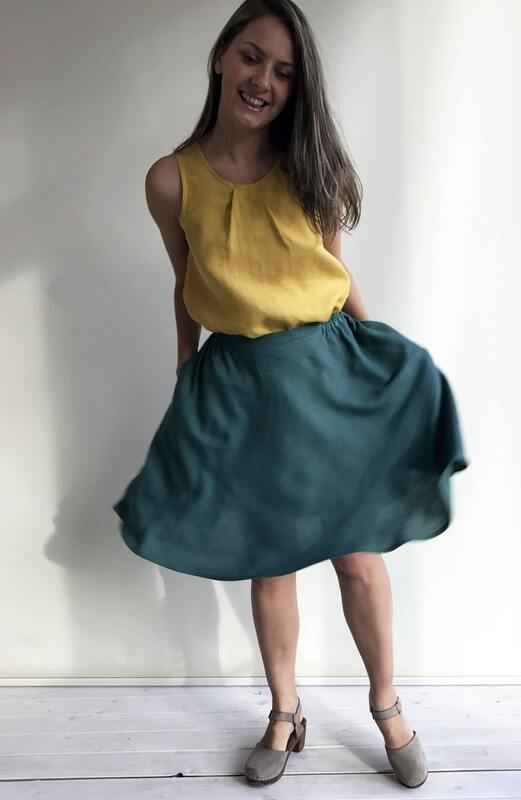 Brighten up your wardrobe with ordering the top in the cheerful colors or choose the more classic whites, blacks and greys. 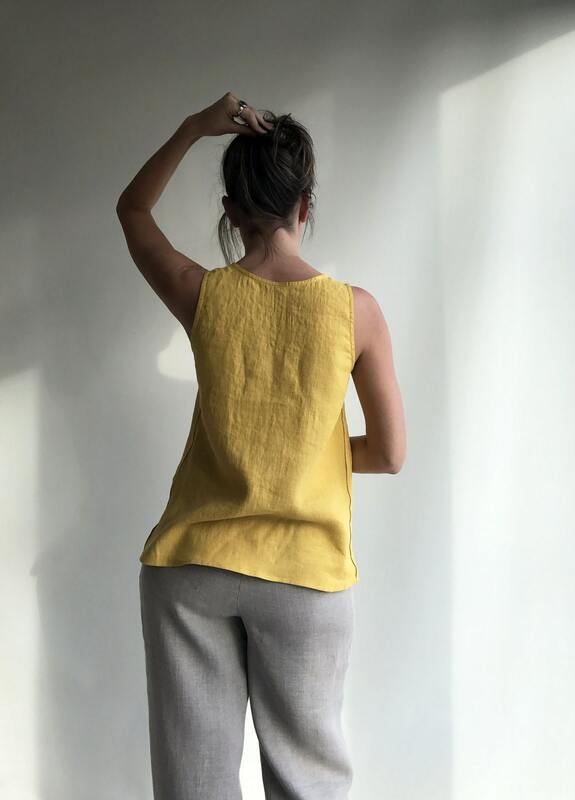 Linen being highly absorbent fabric, the top will allow your body to breathe and feel at ease. And the more you wear and wash it the more it will gain in its character and softness. Will look and feel equally great worn casually with jeans or for more official occasions with suit. The top will be custom made for you within 10 days with great attention to finishing. You will receive the top already softened and pre-washed. It won't shrink anymore.